Welcome Joseph B. Haddad, M.D., F.A.C.O.G. We are pleased to announce that Dr. Joseph Haddad will be joining our practice as of 10/1/18. 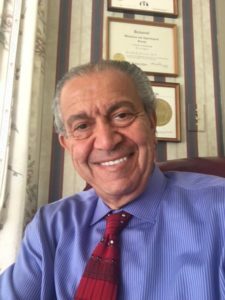 Dr. Haddad specializes in Obstetrics and Gynecology with a special interest in Infertility, Uro-Gynecology, Laser Laparoscopy and Minimally Invasive Robotic Gynecological Surgery. 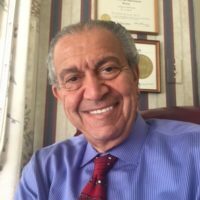 He obtained his M. D. Diploma in 1972 from the American University of Beirut which is chartered under the State University of New York. In 1975, he completed Residency and specialty training in Obstetrics and Gynecology at The Rochester General Hospital – University of Rochester School of Medicine and Dentistry and received his New York State Medical License. 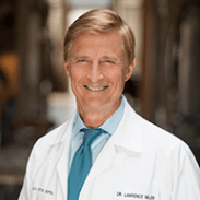 In 1977 he became Board Certified in Obstetrics and Gynecology and earned the title of Diplomate of the American Board of Obstetrics and Gynecology. As of February 20, 2018, we are proud members of Privia Medical Group!